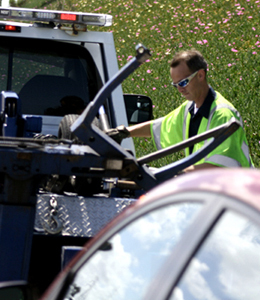 24/7 Emergency Towing Service In NYC - Towing service in your area Family owned and operated, Towing Service NYC provides Towing and Recovery Services to the entire Manhattan metro area and surrounding Areas. We specialize in damage free towing with our modern equipment of flatbeds, wheel lifts, service trucks, and heavy duty wreckers. We can assist you with all of your towing needs – from motorcycles to cars, truck and motor homes. We not only tow locally, but also long distance. 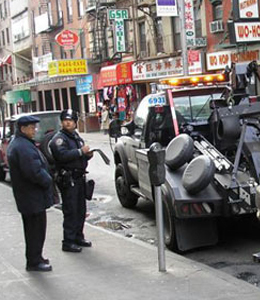 In Towing Service NYC We value our reputation for fast, reliable Towing Service in NYC at competitive rates. Our prompt, professional, uniformed drivers are usually able to respond within 20 minutes or less any where in New York, NY. We are centrally located to get anywhere in the Manhattan metro area quickly. We are so thankful for the help we received from your driver the other night. He tried very hard to get are car going and when he could not. He took us to a shop that could work on it And helped us to get a motel room for the night. 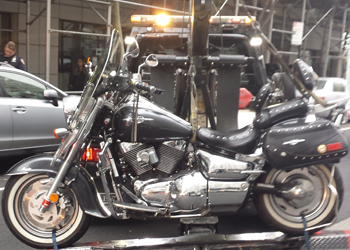 Thanks Towing Service NYC for helping making a disaster in to a more pleasurable experience. If it wasn't for you guys I don't think kitty would have made it. We think he was locked in the car for at least a day and a half. And with the heat we been having don't think he would of made it much longer. My neighbors were out of town and asked us to check on cat. And we got worried when we hadn't seen it for a while, and that's when we found it in the car. Thank you for donating your time and the speedy recovery. Kitty is doing fine now. 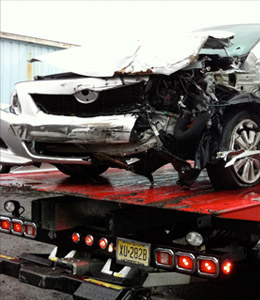 "Having three teenaged drivers in my family, I've had to use the services of several body shops in Manhattan NY before I found Towing Services NYC. None compare to Dennis and his staff who have ALWAYS gone the extra mile to take care of us and have ALWAYS stood behind their work. They are fair and honest, what more can you ask?" "Fast work, very knowledgeable staff, they even helped with my insurance claim." Since 2016, Towing Service NYC offers a variety of towing services from light and medium duty towing to flatbed and wheel lift towing services. Whether you need to tow your car to the dealer for service or require flatbed or winch-out assistance, we are the business for you. When you choose Towing Service NYC, you are choosing the best – all of our professional technicians are experienced and capable of handling any towing situation. 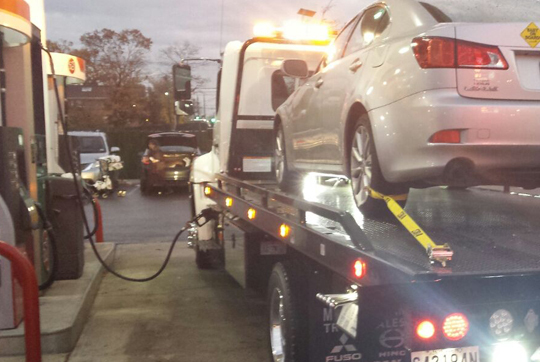 Towing Service NYC provides fast, dependable and reliable Towing service in Manhattan, NY. Our fully insured and uniformed technicians will provide you with prompt and professional 24 Hour 7 days a week NYC Towing Service.